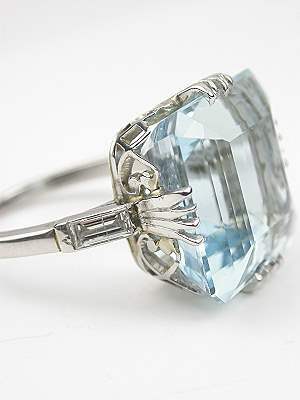 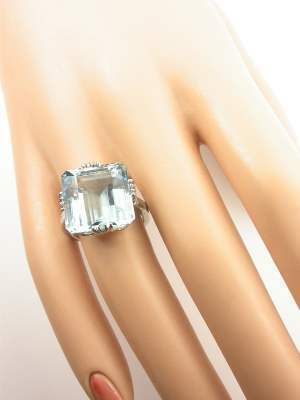 This bold and classic Retro vintage aquamarine ring demands to be noticed! 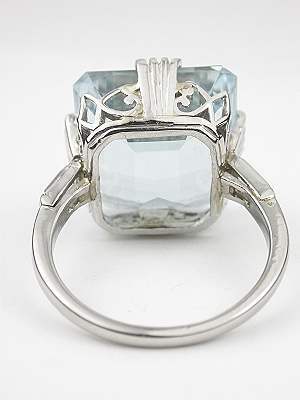 The platinum band of this vintage cocktail ring rises to a playful mounting of openwork hearts, rhomboids and crowns. 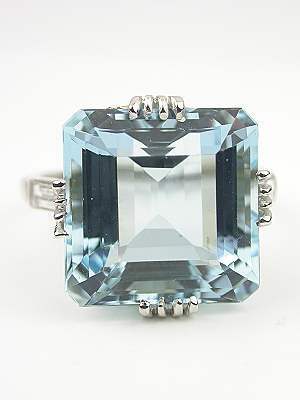 A 14.27-carat emerald cut aquamarine is set inside this display of metallic elements. 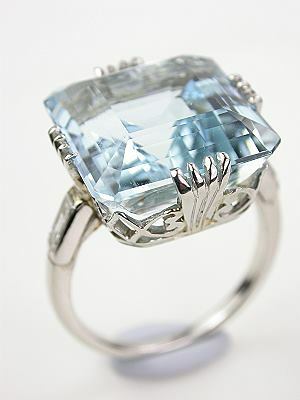 A pair of straight cut baguette diamonds flanks the aquamarine for a total diamond weight of 0.30 carats. 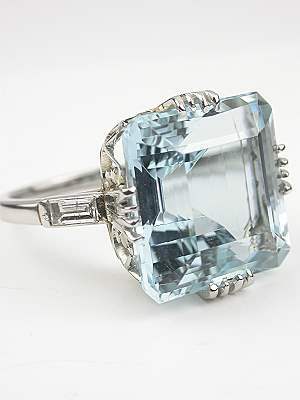 Circa 1950 or later.